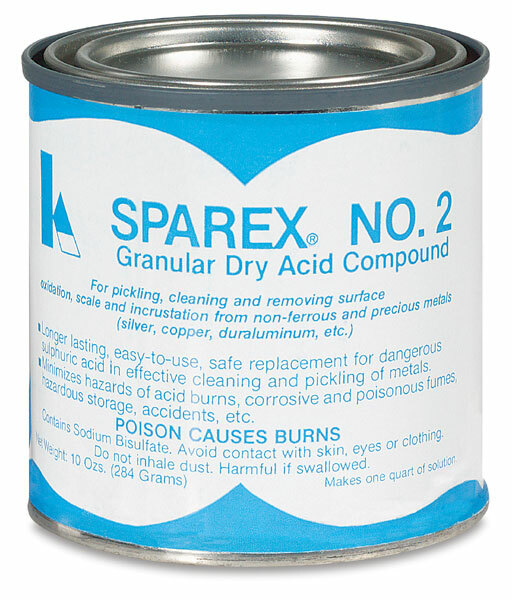 Thompson Sparex is an acid-type copper cleaner in a powder form. A 10 oz can makes one quart of solution. 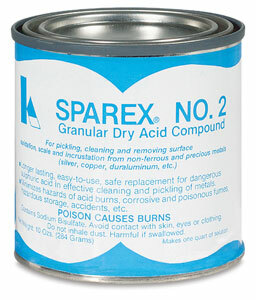 This is an acid type copper cleaner in powder form. 10 oz can make 1 quart solution. Used to wet the copper when applying powder to curved or vertical surfaces. Also used as a painting medium. 10 oz (283 g).  Thompson is a trademark.